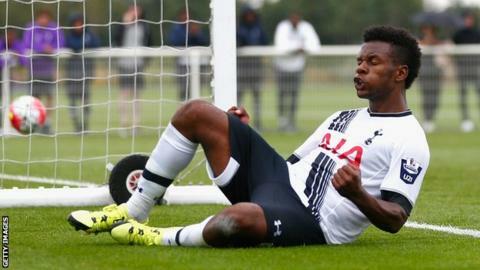 League One side Wigan have signed Tottenham Hotspur striker Shaquile Coulthirst on loan until 1 November. The 20-year-old has spent time in the Football League on loan at Leyton Orient, Torquay, Southend and York. "He brings something new to the group and will provide extra competition," boss Gary Caldwell told the club website. The England Under-19 international is available for the game against Doncaster on Sunday. He becomes the 16th signing of a busy summer at DW Stadium after their relegation from the Championship.